Recently I produced a 360 VR video tour with Ecocity Builders to introduce people to the framework that makes sustainable cities. Their goal is to use virtual reality as education in a entertaining and easy to understand visual media format. In this article I’ll provide some background on Ecocities, show some parts of the 360 VR video tour production process, and hopefully encourage you to see the EcocityVR results. Ecocity Builders is a non profit organization in Oakland California. They’re mission is to reshape cities for the long-term health of human and natural systems. Ecocity Builders does this by developing and implementing policy, design and educational tools and strategies to build thriving urban centers. The core focus is on “access by proximity” and to reverse patterns of sprawl and excessive consumption. One of Ecocity Builders exciting projects is the Urbinsight project. They are crowd sourcing resource data from users on the ground in neighborhoods around the world. All this user generated data goes into the Urbinsight database. The resource data is then visualized in many different ways for city planners and industry leaders. This is big data environmentalism using technology like never before. Acquisition of new users collecting resource data requires understanding what a sustainable city is and how it’s good for them. 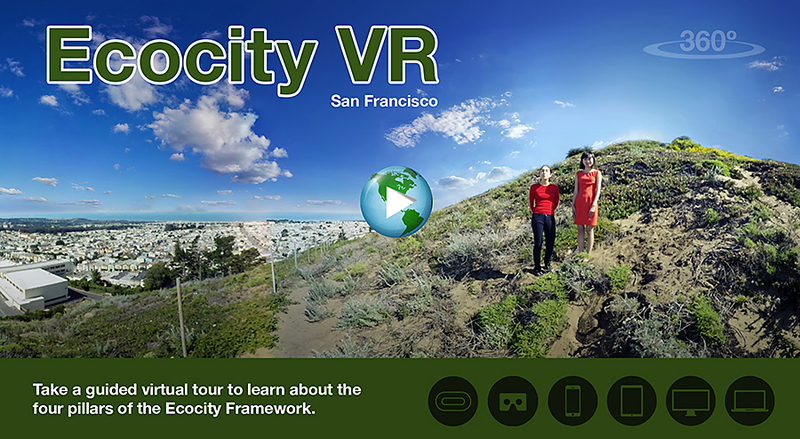 The 360 VR video tour aims to do just that with interactive videos describing the four pillars that make up the Ecocity Framework. The virtual reality video production took place over three months earlier this year. Typical of traditional 2D film and video production it’s broken down into three phases. Fortunately the executive director of Ecocity Builders, Kirstin Miller, arranged for interns from UC Berkeley. We had nine interns to help research, write scripts, and coordinate with all the locations. This was a huge help and a key factor in being able to produce so many 360 videos with a low budget for VR tour production. Develop the VR tour map, which dictates the location research, permissions, and planning. Script development, which defines the number of on camera people and timeline of each pillar. 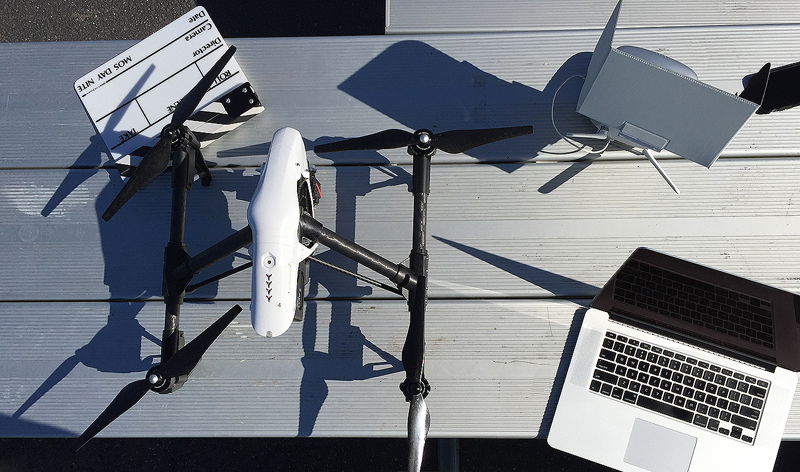 Capture 360 video and audio at fourteen locations. We used two different 360 VR camera rigs. 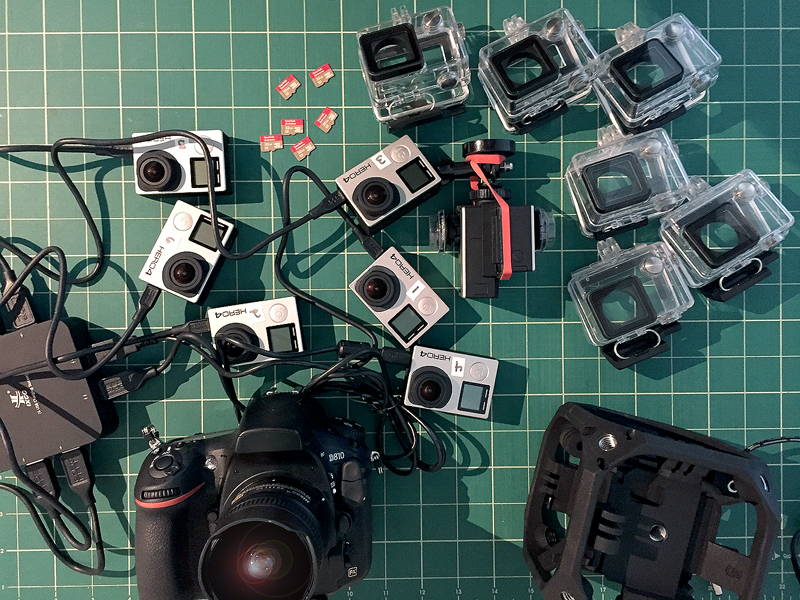 One with six GoPro Hero 4 Blacks and one with two GoPro’s that have modified lenses to cover full spherical 360 degrees. Audio was recorded live with a 4-channel surround sound H2N. 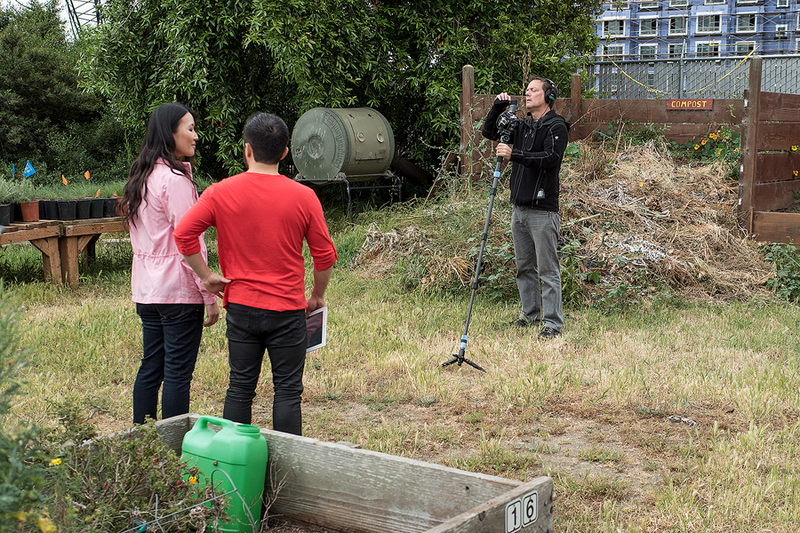 On talent audio captured with wireless lavaliere mics recorded through a H6N. Data management with 4K footage from six cameras and two audio recorders. Organization is key to sync up multiple live action takes from eight data sources (6-camera 2-audio) multiplied by 16 locations. Stitching the 360 videos. We used Autopano Video Pro to export 8K Cineform master files. Color grade the Cineform master files in After Effects with Skybox Studio to patch the nadir (hole at bottom) and export ProRes 4K files to build the tour with. Sync the live audio tracks with the color graded ProRes 4K videos in Adobe Premier Pro and Audition to clean up the audio. I used Autopano Tour Pro and KR Pano plugins to build the EcocityVR tour. Importing all the panoramas and syncing them with the VR tour maps is easy. Visual brand connection with the user interface, color palette, logos, and graphics, so it plays well with other Ecocity Builder media. Export, and test the tour. This is the hardest part. Because EcocityVR is for a international non-profit the VR tour has to be able to play on any device (web, mobile, tablet, Google Cardboard). With each device there are multiple solutions too; iPhone/Android, Chrome/Firefox, ect. This requires exporting three videos in different codecs and separate audio files for each video in the complete tour and mapping them all in the XML file. These are early days in 360 virtual reality video tours on the web. Realize that it won’t be perfect across every device. Kolor and their Autopano Tour Pro really fall apart in the final VR tour delivery. Support is very slow or not available at all. This is where some XML and HTML5 skills are very helpful. Upload the tour to a web server. Not just any server. 360 VR video tours are demanding media data. This VR tour is hosted on a Amazon web server with a one year free S3 account. It’s fairly easy to setup and upload the thousands of files contained in the VR tour. AWS makes it possible to deliver the VR tour by regions. Amazon delivers demanding 360 media from the closest point geographically to the person viewing the VR videos. The future goals of Ecocity VR education are to produce multiple 360 video tours from different cities. Imagine a map of the world with several EcocityVR learning modules distributed. The VR education would be more engaging through comparison of how different cities build the four pillars in line with their local culture and resources. Click on this photo and you’ll be transported to EcocityVR.